There are 5 companies listed in our Eye Care category for Pinellas Park. This page shows listings 1 to 5. If you'd like to check the Eye Care category for other cities in Florida click a link on the left. 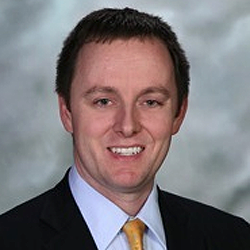 Dr. Michael Manning is a board-certified Ophthalmologist and the head of Gulfcoast Eye Care in the Tampa Bay, Clearwater, and St. Petersburg, Florida area. He is an experienced LASIK surgeon and cataract surgeon, and has served as the Principal Investigator or Co-Investigator in numerous research studies on ways to improve outcomes with lens implant and cataract surgery procedures. Dr. Manning’s practice offers a comprehensive range of eye and vision care options, including laser vision correction, cataract surgery, intraocular lens implants, and cosmetic eyelid surgery, as well as treatments for eye conditions such as dry eye syndrome, glaucoma, diabetic retinopathy, and many others. He is certified by the American Board of Ophthalmology and is a Fellow of the American College of Surgeons. Dr. Manning holds membership in a number of respected medical organizations, including the American Academy of Ophthalmology, the American Society of Cataract and Refractive Surgery, and the International Society of Refractive Surgery. He has been published in an array of publications, including a chapter in the 3rd edition of Albert & Jakobiec’s Principles & Practice of Ophthalmology.